Children’s rooms are a great place to let your imagination run riot, but try to base your decor on a theme that can grow with the child – from a pretty nursery to a fun playroom/bed room. 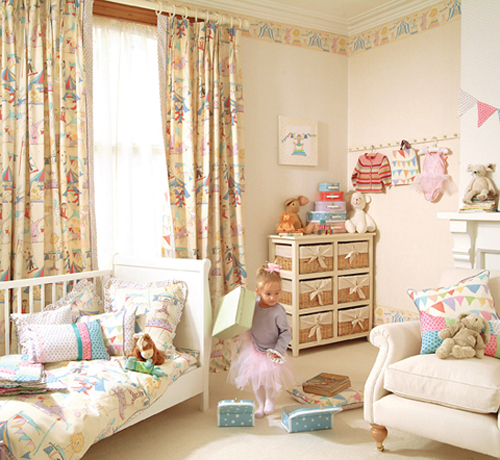 Kids love all their stuff around them as it makes them feel secure, so include as much shelving and cupboard space as possible to try to develop a tidy mind and black-out blinds or curtains with blackout linings may well be beneficial to both parties for day time naps and helping to prevent an early morning call as soon as daylight appears. Space permitting, try to keep the play area slightly away from the sleep area. 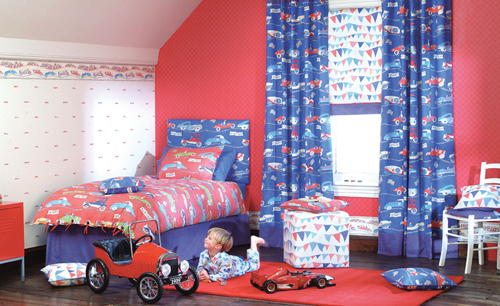 Children love bright colours, but try to limit them to one wall as they are stimulating, not conducive to a good night’s sleep and can make a room feel small and overpowering – the walls can easily be livened up with lots of pictures, shelves and accessories themed to the relevant age of the child. Children spend lots of time on the floor, but carpets although more comfortable, will be harder to keep clean – funky rugs on a wood or tiled floor are the best idea and can be easily changed in case of disaster. Give plenty of thought to the lighting – dimmer switches and soft task lighting should be included in the scheme so that should your child require room service in the middle of the night, a strong light can be avoided which will be sure to wake them fully. 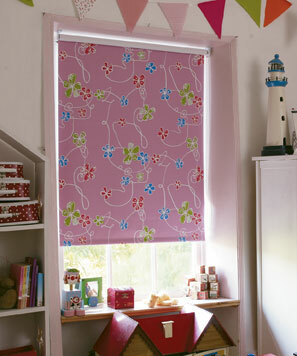 Blackout roller blinds will be well worth fitting, both from your point of view and from your child’s. A good night’s sleep is essential for all concerned. Blackout blinds are available in lots of vibrant colours and patterns, but ensure that you take the time to measure accurately or tell tale chinks of light will creep round the sides of the blind defeating the object of the exercise. 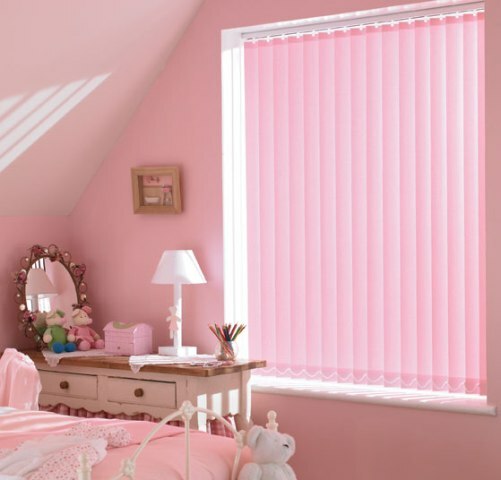 Roman blinds are also available as blackout blinds and curtains with blackout linings. Readymade curtains with matching bedding or wallpaper will not usually have blackout lining, so fitting a blackout blind in a bright co-ordinating colour will make an ideal solution.